Corporate finance for the pre-industrial world began to emerge in the Italian city-states and the low countries of Europe from the 15th century. Public markets for investment securities developed in the Dutch Republic during the 17th century. By the early 1800s, London acted as a center of corporate finance for companies around the world, which innovated new forms of lending and investment. The twentieth century brought with it the rise of managerial capitalism and common stock finance. Modern corporate finance, alongside investment management, developed in the second half of the 20th century, particularly driven by innovations in theory and practice in the United States and also Britain. Achieving the goals of corporate finance requires that any corporate investment be financed appropriately. The sources of financing are, generically, capital self-generated by the firm and capital from external funders, obtained by issuing new debt and equity (and hybrid- or convertible securities). However, as above, since both hurdle rate and cash flows (and hence the riskiness of the firm) will be affected, the financing mix will impact the valuation of the firm, and a considered decision is required here. Finally, there is much theoretical discussion as to other considerations that management might weigh here. Corporations can alternatively sell shares of the company to investors to raise capital. Investors, or shareholders, expect that there will be an upward trend in value of the company (or appreciate in value) over time to make their investment a profitable purchase. Shareholder value is increased when corporations invest equity capital and other funds into projects (or investments) that earn a positive rate of return for the owners. Investors prefer to buy shares of stock in companies that will consistently earn a positive rate of return on capital in the future, thus increasing the market value of the stock of that corporation. Shareholder value may also be increased when corporations payout excess cash surplus (funds from retained earnings that are not needed for business) in the form of dividends. Also, the Capital structure substitution theory hypothesizes that management manipulates the capital structure such that earnings per share (EPS) are maximized. An emerging area in finance theory is right-financing whereby investment banks and corporations can enhance investment return and company value over time by determining the right investment objectives, policy framework, institutional structure, source of financing (debt or equity) and expenditure framework within a given economy and under given market conditions. One of the more recent innovations in this area from a theoretical point of view is the Market timing hypothesis. This hypothesis, inspired in the behavioral finance literature, states that firms look for the cheaper type of financing regardless of their current levels of internal resources, debt and equity. ROV is usually used when the value of a project is contingent on the value of some other asset or underlying variable. (For example, the viability of a mining project is contingent on the price of gold; if the price is too low, management will abandon the mining rights, if sufficiently high, management will develop the ore body. Again, a DCF valuation would capture only one of these outcomes.) Here: (1) using financial option theory as a framework, the decision to be taken is identified as corresponding to either a call option or a put option; (2) an appropriate valuation technique is then employed – usually a variant on the Binomial options model or a bespoke simulation model, while Black Scholes type formulae are used less often; see Contingent claim valuation. (3) The "true" value of the project is then the NPV of the "most likely" scenario plus the option value. (Real options in corporate finance were first discussed by Stewart Myers in 1977; viewing corporate strategy as a series of options was originally per Timothy Luehrman, in the late 1990s.) See also #Option pricing approaches under Business valuation. Continuing the above example: instead of assigning three discrete values to revenue growth, and to the other relevant variables, the analyst would assign an appropriate probability distribution to each variable (commonly triangular or beta), and, where possible, specify the observed or supposed correlation between the variables. These distributions would then be "sampled" repeatedly – incorporating this correlation – so as to generate several thousand random but possible scenarios, with corresponding valuations, which are then used to generate the NPV histogram. The resultant statistics (average NPV and standard deviation of NPV) will be a more accurate mirror of the project's "randomness" than the variance observed under the scenario based approach. These are often used as estimates of the underlying "spot price" and volatility for the real option valuation as above; see Real options valuation #Valuation inputs. A more robust Monte Carlo model would include the possible occurrence of risk events (e.g., a credit crunch) that drive variations in one or more of the DCF model inputs. Management must also choose the form of the dividend distribution, as stated, generally as cash dividends or via a share buyback. Various factors may be taken into consideration: where shareholders must pay tax on dividends, firms may elect to retain earnings or to perform a stock buyback, in both cases increasing the value of shares outstanding. Alternatively, some companies will pay "dividends" from stock rather than in cash; see Corporate action. Financial theory suggests that the dividend policy should be set based upon the type of company and what management determines is the best use of those dividend resources for the firm to its shareholders. As a general rule, shareholders of growth companies would prefer managers to retain earnings and pay no dividends (use excess cash to reinvest into the company's operations), whereas shareholders of value or secondary stocks would prefer the management of these companies to payout surplus earnings in the form of cash dividends when a positive return cannot be earned through the reinvestment of undistributed earnings. A share buyback program may be accepted when the value of the stock is greater than the returns to be realized from the reinvestment of undistributed profits. In all instances, the appropriate dividend policy is usually directed by that which maximizes long-term shareholder value. Managing the corporation's working capital position to sustain ongoing business operations is referred to as working capital management. These involve managing the relationship between a firm's short-term assets and its short-term liabilities. In general this is as follows: As above, the goal of Corporate Finance is the maximization of firm value. In the context of long term, capital budgeting, firm value is enhanced through appropriately selecting and funding NPV positive investments. These investments, in turn, have implications in terms of cash flow and cost of capital. The goal of Working Capital (i.e. short term) management is therefore to ensure that the firm is able to operate, and that it has sufficient cash flow to service long-term debt, and to satisfy both maturing short-term debt and upcoming operational expenses. In so doing, firm value is enhanced when, and if, the return on capital exceeds the cost of capital; See Economic value added (EVA). Managing short term finance and long term finance is one task of a modern CFO. Working capital is the amount of funds which are necessary to an organization to continue its ongoing business operations, until the firm is reimbursed through payments for the goods or services it has delivered to its customers. Working capital is measured through the difference between resources in cash or readily convertible into cash (Current Assets), and cash requirements (Current Liabilities). As a result, capital resource allocations relating to working capital are always current, i.e. short-term. Debtors management. There are two inter-related roles here: (1) Identify the appropriate credit policy, i.e. credit terms which will attract customers, such that any impact on cash flows and the cash conversion cycle will be offset by increased revenue and hence Return on Capital (or vice versa); see Discounts and allowances. (2) Implement appropriate Credit scoring policies and techniques such that the risk of default on any new business is acceptable given these criteria. ^ Ferguson, Niall (2002). Empire: The Rise and Demise of the British World Order and the Lessons for Global Power, p. 15. "Moreover, their company [the Dutch East India Company] was a permanent joint-stock company, unlike the English company, which did not become permanent until 1650." ^ Smith, B. Mark: A History of the Global Stock Market: From Ancient Rome to Silicon Valley. (University of Chicago Press, 2003, ISBN 9780226764047), p. 17. As Mark Smith (2003) notes, "the first joint-stock companies had actually been created in England in the sixteenth century. These early joint-stock firms, however, possessed only temporary charters from the government, in some cases for one voyage only. (One example was the Muscovy Company, chartered in England in 1533 for trade with Russia; another, chartered the same year, was a company with the intriguing title Guinea Adventurers.) 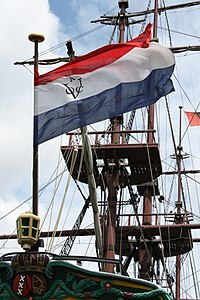 The Dutch East India Company was the first joint-stock company to have a permanent charter." ^ Clarke, Thomas; Branson, Douglas: The SAGE Handbook of Corporate Governance. (SAGE Publications Ltd., 2012 ISBN 9781412929806), p. 431. "The EIC first issued permanent shares in 1657 (Harris, 2005: 45)." ^ Baskin, Jonathan; Baskin, Jonathan Barron; Jr, Paul J. Miranti (1999-12-28). A History of Corporate Finance. Cambridge University Press. ISBN 9780521655361. ^ Smith, Clifford W.; Jensen, Michael C. (2000-09-29). "The Theory of Corporate Finance: A Historical Overview". Rochester, NY. ^ Cassis, Youssef (2006). Capitals of Capital: A History of International Financial Centres, 1780–2005. Cambridge, UK: Cambridge University Press. pp. 1, 74–5. ISBN 978-0-511-33522-8. ^ Michie, Ranald (2006). The Global Securities Market: A History. OUP Oxford. p. 149. ISBN 0191608599. ^ Cameron, Rondo; Bovykin, V.I., eds. (1991). International Banking: 1870–1914. New York, NY: Oxford University Press. p. 13. ISBN 978-0-19-506271-7. ^ Roberts, Richard (2008). The City: A Guide to London's Global Financial Centre. Economist. pp. 6, 12–13, 88–89. ^ a b Jim McMenamin (11 September 2002). Financial Management: An Introduction. Routledge. pp. 23–. ISBN 978-1-134-67624-8. ^ Carlos Correia; David K. Flynn; Enrico Uliana; Michael Wormald (15 January 2007). Financial Management. Juta and Company Ltd. pp. 5–. ISBN 978-0-7021-7157-4. ^ Financial Management; Principles and Practice. Freeload Press, Inc. 1968. pp. 265–. ISBN 978-1-930789-02-9. ^ Myers, Stewart C. "Interactions of corporate financing and investment decisions—implications for capital budgeting." The Journal of finance 29.1 (1974): 1-25. ^ Pamela P. Peterson; Frank J. Fabozzi (4 February 2004). Capital Budgeting: Theory and Practice. John Wiley & Sons. ISBN 978-0-471-44642-2. ^ Lawrence J. Gitman; Michael D. Joehnk; George E. Pinches (1985). Managerial finance. Harper & Row. ^ For example, mining companies sometimes employ the "Hill of Value" methodology in their planning; see, e.g., B. E. Hall (2003). "How Mining Companies Improve Share Price by Destroying Shareholder Value" and I. Ballington, E. Bondi, J. Hudson, G. Lane and J. Symanowitz (2004). "A Practical Application of an Economic Optimisation Model in an Underground Mining Environment" Archived 2013-07-02 at the Wayback Machine. ^ The Flaw of Averages Archived 2011-12-07 at the Wayback Machine, Prof. Sam Savage, Stanford University. Graham, John R.; Harvey, Campbell R. (1999). "The Theory and Practice of Corporate Finance: Evidence from the Field". AFA 2001 New Orleans; Duke University Working Paper. SSRN 220251. Jonathan Berk; Peter DeMarzo (2013). Corporate Finance (3rd Edition). Pearson. ISBN 0132992477. Peter Bossaerts; Bernt Arne Ødegaard (2006). Lectures on Corporate Finance (Second Edition). World Scientific. ISBN 978-981-256-899-1. Joseph Ogden; Frank C. Jen; Philip F. O'Connor (2002). Advanced Corporate Finance. Prentice Hall. ISBN 978-0130915689. Pascal Quiry; Yann Le Fur; Antonio Salvi; Maurizio Dallochio; Pierre Vernimmen (2011). Corporate Finance: Theory and Practice (3rd Edition). Wiley. ISBN 978-1119975588.